Raj Narayanan, General Manager, Partnerships, joined the Lake Elsinore Storm in October, 2009. He will be starting his 13th season in Minor League Baseball in 2018. Raj has worked in several capacities in his career, having started as an Account Executive, later as Director of Promotions and Entertainment and as Director of Group Sales prior to moving into his current role. He oversees all Corporate Partner relationships, sponsor promotions and in-game entertainment while also assisting with group sales and marketing. Prior to joining the Storm, Raj worked for the Inland Empire 66ers for four years and also as a Financial Services Professional in New Jersey for six years. Raj was born in Bombay, India and has spent time in Madras, India, along with Chicago (IL) , Stamford (CT) and Bridgewater (NJ). He attended the University of Connecticut and also Rutgers University, majoring in Economics with a background in Finance and Marketing. Raj lives in Murrieta and enjoys sports, reading, music and traveling in his spare time. He also likes to spend time giving back to the community by helping groups raise awareness, funding and fighting for causes. 2018 will be Mark's 18th season with the Storm. Originally from New York, he earned a Bachelor of Fine Arts in Graphic Design from the State University of New York at Oswego in 2000. He then moved to California in 2001, where he immediately made his mark in baseball by creating the internationally-known Storm jersey logo. 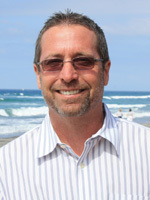 Mark resides in sunny San Diego with his nine year old son, Andrew. He enjoys movies, music, video games & spending time with his son. Christine Kavic is entering her first season with the Storm as CFO/Director of Business Administration. She is an esteemed Accounting and HR professional with over 20 years of experience. She has a proven record of team leadership and cross-functional success. She thrives in a demanding, deadline-driven work environment. 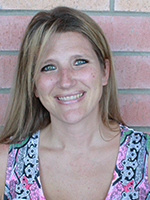 Christine attended West Texas A&M University, where she earned her degree in Economics & Business Law. .
Christine lives in Hemet and is a proud wife and a mother to twin 14 year old boys. She enjoys off-roading and camping in the desert with her family whenever she can find the opportunity. The 2018 season will be Paul's 17th in baseball. 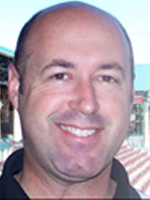 Paul spent 13 years working for the Inland Empire 66ers from 1997 through 2009. He began his baseball career as the Director of Corporate Partnerships and was eventually promoted to Vice President. After the 2009 season, he left the baseball world briefly to move back to his hometown of Poway where he and his wife started a small business. Once the business was running smoothly and realizing how much he missed the business of baseball, Paul joined the Storm front office for the 2011 and 2012 seasons. Following a 5-year hiatus in which he tended to the family's small business, eventually selling it, he finds himself back in the friendly confines of The Diamond. In his spare time, Paul enjoys mountain biking, golfing, craft beer and helping coach his girls in their various sports. The So Cal native is a UC Irvine graduate and currently lives in Poway with his wife and two daughters. In 2015, Sean celebrated his 25th season in Minor League Baseball including 19 seasons as the Director of Broadcasting for the Lake Elsinore Storm. The "Voice of the Storm" since 1996, he has called over 3,000 games in the California League. The Southern California native and Pepperdine University graduate worked for the UCLA men's basketball team in 1990-91 before beginning his broadcasting career with the Boise Hawks (then California Angels, Northwest League) in 1992. While in Idaho, he also broadcast televised men's & women's college basketball and professional World Team Tennis. In 1999, Sean went global as the play-by-play voice of "Baseball 2000," a Sony PlayStation game produced by Interplay Sports. Also in 1999, and again in 2004, he served as the emcee for the Baseball Winter Meetings Awards Luncheon. Sean has been a part of seven league championships, 17 playoff appearances, thousands of miles of joyful bus rides and countless chuckles. He has witnessed kangaroo courts and sipping soirees, as well as having the pleasure of calling a perfect game, two no-hitters and a 30-0 blowout win. Sean is a proponent of please and thank you and a fan of the sights & sounds at the ballpark. 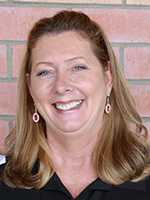 No one has been around Storm Baseball longer than the team's Office Manager, Peggy Mitchell, who was an original Storm Season Ticket Holder from the inaugural 1994 season. Along the way, Peggy has also been a Storm sponsor, Suite Holder and Booster Club Member, as well as being a part of the Host Family program for players Paul McAnulty, Brian Burgamy and Khalil Greene. The team's Director of First Impressions, Peggy has been working with Storm since 2009 and has been in her current position since 2010. 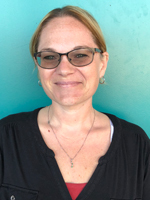 Her work background includes eight years as a Financial Manager at a Vocational Rehabilitation company and 17 years as the Office Manager for Dynasty Pools, a company that she and her husband have owned since 1986. 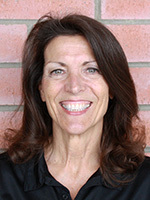 Peggy grew up in Orange County, CA and attended Anaheim High School, home of the Colonists. In 1979, with apologies to John Travolta and George Clooney, the former Peggy Miller said "I do!" to her husband Jeffery. Peggy, a doting grandmother of Kaylee and a loving mother of Krystle and Jesse, also roots for the Padres, Angels and her beloved Storm (of course!). 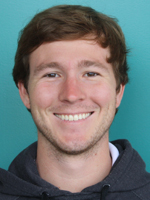 Matt comes to the Storm from Long Beach State, where he worked in the Marketing department while receiving his Master's in Sport Management. Originally from the East Coast, Matt had the fortune of attending Virginia Tech for four years, a school widely considered to have the best campus dining in the nation. Matt's favorite sports moment is when in 2009 Tyrod Taylor and the Virginia Tech Hokies drove 88 yards down the field in the last minute to beat the Nebraska Cornhuskers. He fondly recalls rushing the field that day along with thousands of other Hokie supporters. 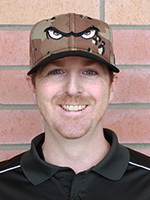 Eric Colunga is entering his sixth season with the Lake Elsinore Storm and his fourth as the Director of Ticketing after interning with the club in 2013. His favorite part of his job is being able to walk out, take a look at the field and realize that he is selling baseball or fun events for a living. 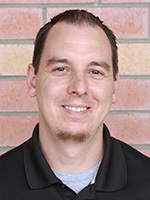 Before joining the Storm, Eric worked for a number of sports organizations, including the Los Angeles Sparks, Whittier College, and Chino High School. 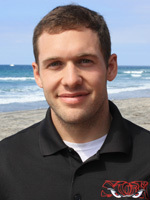 Eric is a graduate of the University of San Francisco Masters Program, where he earned his Masters in Sports Management. He previously attended Whittier College, where he graduated with a degree in Kinesiology and Nutrition Science. He was a four year letter winner for the Whittier College football team. He resides in Rancho Cucamonga with his wife Alyssa and dog Walter. Lucas was raised in Greeley, Colorado, where his family still resides along with their Golden Retriever, Rocco. He graduated from Fort Hays State University in Hays, Kansas with a Bachelor's Degree in Sport Management. This season marks the third season for Lucas with the Storm. 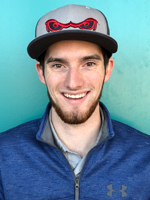 In his free time, Lucas enjoys golfing, hiking, days at the beach, avoiding playing basketball at all costs, and of course watching Colorado Rockies Baseball. Though fans get to witness Storm players making memorable plays on the field at The Diamond, there is someone off the field and behind the scenes who is starring in his own right: Storm Clubhouse Manager Terrance Tucker. Thanks to Terrance's tireless efforts, upbeat attitude, and commitment to service and professionalism, these minor leaguers get big league treatment from the reigning 2013 & 2014 California League Clubhouse Manager of the Year. The San Diego native was a basketball and tennis standout at Kearny High School and Mesa Junior College before majoring in Communication and earning a degree from San Diego State. 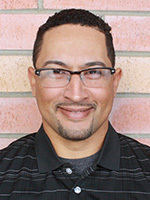 In 2003, Terrance made his Major League debut (as a bat boy with the San Diego Padres) and continued in that role with the Padres until 2010, when he became the Clubhouse Manager for the Class A Fort Wayne Tincaps, the Padres' Midwest League affiliate. In 2011, Terrance joined the Storm family and was an integral part of a California League Championship season. 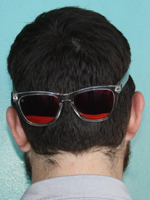 He is currently a member of the Storm front office, working as a salesman and ambassador for the team. "T" is a proud father of two beautiful children. The "fast-paced" Communications Director & Senior Group Sales Executive is entering his seventh season with the Storm after completing an internship in 2012 as the Assistant Director of Media Relations. If you haven't met Eric, you just might recognize him as "Ace," The Fastest Squirrel in the World, the rodent sensation racing fans across the field at The Diamond each game. The proud Saratoga Springs, NY native previously worked for The National Baseball Hall of Fame, The Saratogian Newspaper and was an Assistant Sports Information Director/ Track & Field Coach at his alma mater, SUNY Oneonta. Eric graduated with a degree in Business/Economics with a concentration in Marketing and was a four-year Athlete on the Track & Field team, where he earned 2-time All-American honors and a National Championship in the 4x400 meter relay for the Red Dragons. Eric is married to his beautiful "California Girl" Jamie and loves to spend his free time jumping on the trampoline with his boys Jayden & Nathan. Eric recently welcomed Reagan, his baby boy, to the family. Kasey Rawitzer joined the Storm family in 2012 as an intern, serving as the Assistant Director of Merchandise. Kasey was promoted to a full-time Sales Executive in 2013. 2018 will be his sixth season in that capacity, promoting group sales, special birthday gatherings, and dance performances at the stadium. Kasey is also an on-field emcee/entertainer during the Storm Baseball season, involved in pre-game ceremonies and in-game promotions while helping to create the best fan experience possible. Fans have seen Kasey as the banjo playing redneck, the lucky leprechaun and more, including the 2013 Grounds Crew Gorilla and a crowd pleasing Run Warrior. Kasey was born in Walnut Creek, CA where he was raised until the age of 10. In 1995 his family relocated to Redding, CA where they still reside today. Baseball was a big part of his upbringing; Kasey's older brother Kevin was drafted by the Kansas City Royals in 1993 and played seven seasons as a professional. Taking pride in his Northern California roots, Kasey passionately cheers for the Bay Area's Giants, Warriors and 49ers. He is happy to say that one more team has been added to that list: the Lake Elsinore Storm. As the second-longest tenured Storm employee, Donna Grunow has had her eyes on "Storm Eyes" since 1997, serving as the team's Director of Merchandising for 16 years running. She has witnessed the evolution of the various Storm logos, and has played an integral role in making the "Eyes of the Storm" one of the most popular logos in all of Minor League Baseball. Also, with Donna leading the charge, the organization is proud to partner with nearly 250 Little League teams around the country. After her birth in Decatur, Illinois, Donna's family moved to the Bay Area when she was five years old. So began her passion for baseball and her beloved San Francisco Giants. She would later move to Southern California, where she attended El Modena High School and Orange Coast College before marrying her current lover George in the summer of 1979. They reside in Murrieta and are the proud parents of Sara and Brett, who spent many a summer working game-days at the ballpark. Before joining the Storm, Donna spent 12 years in the banking industry and 10 years as a stay-at-home mom. When she is not napping, Donna is a beacon of Storm pride in the Souvenir Store and when asked, or even not, she will gladly sing her holiday/baseball classic, "It's The Most Wonderful Time Of The Year!" 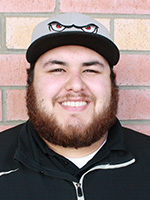 Dominick is entering his first season with the Lake Elsinore Storm as a Ticketing Executive after spending the 2017 season as the Media Relations Intern. He loves coming to work every day and surrounding himself with baseball as well as being with an organization that truly cares about the fans and the community. Before joining the Storm family, Dominick graduated in 2017 from Cal State Fullerton, where he earned his Bachelor's Degree in Broadcast Journalism and is currently working towards a career as a Radio Broadcaster in Baseball. At school, he worked with a number of different organizations which included being an Executive Producer for "OC News", a Radio DJ and Broadcaster for Titan Internet Radio and a National Sales Executive for the Daily Titan Newspaper. Go Titans! At 23 years old, Dominick is born and raised in Southern California and his biggest passion is sports. He grew up loving (and still loving) the Los Angeles Angels, Anaheim Ducks, Los Angeles Lakers, San Francisco 49ers and USC Trojans! In his free time he loves attending country music concerts, watching movies and spending time with his friends and family. Go Storm! 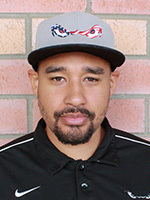 Andres returns to The Diamond as a member of the front office after suiting up for the Storm as a player in the San Diego Padres organization. After a car accident ended his playing career back in 2007, Andres went back to his native Puerto Rico, where he earned a degree in Accounting and Math from the University of Puerto Rico. When asked about his favorite part of working for the Storm, "Showtime" says that while he is no longer a catcher, he still gets to work behind home plate. 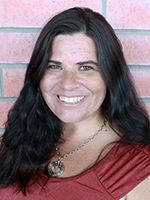 Karen grew up in Riverside and moved to Murrieta 15 years ago. She's married with 2 kids and 3 step kids. Prior to joining the Storm, Karen - who bakes in her spare time - spent 15 and a half years working for Claim Jumper. She's looking forward to seeing what she can bring to the Diamond Club and the Storm franchise. Drake hails from the foothills of Tennessee (or as he insists on calling it "the land of biscuits and gravy"). While earning his degree in Communications, Drake and his spirit team won back-to-back titles at the Universal Cheerleader's Association's Collegiate National Championships. After college, Drake worked for the Kansas City Chiefs and more excitingly worked as a mascot water boy for the Kansas City Royals during the team's victorious run in the 2015 World Series. Drake lives in Lake Elsinore and is a fan of all things funny and all things served in alfredo sauce. In and out of character, Drake hopes to make the whole world smile one face at a time. As Charlie Chaplin said "You'll find that life is still worthwhile, if you just smile." 2018 marks the fifth year of Joe's tenure as the Head Groundskeeper for the Storm. 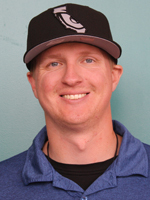 Joe rejoined the organization in 2014 after spending the 2013 season as the Head Groundskeeper with the High Desert Mavericks, the Single-A Advanced affiliate of the Seattle Mariners. Prior to working in Adelanto, Joe was the Assistant Groundskeeper for three seasons with the Storm under Peter Hayes, helping to acquire multiple California League Field of the Year honors. Margie may be one of the newest members of the Storm front office, but the Canyon Lake native has been living #LifeAtTheDiamond since she was a kid. She still lives in Canyon Lake - now as a mother of three - and uses any opportunity to spend time traveling with her family.